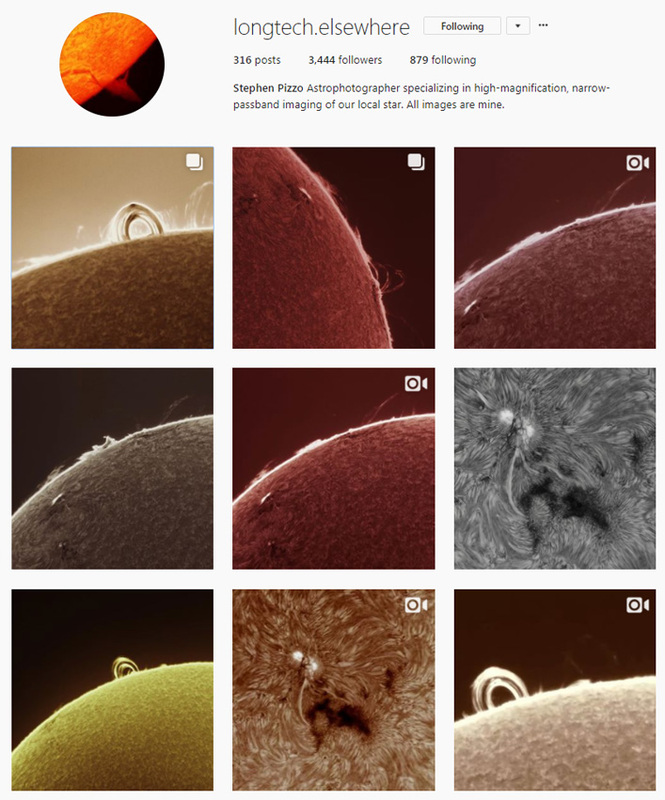 You’ll find a profusion of Tele Vue Powermate™ images of the Sun on Stephen Pizzo’s Instagram wall “Longtech.elsewhere”. 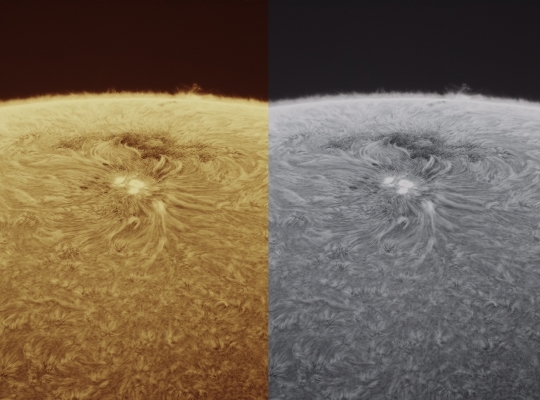 Stephen Pizzo’s Instagram wall captures the dynamic, changing face of the Sun with Tele Vue’s Powermate™ image amplifiers. Most of the time, he uses our 4x Powermate™ on a Hydrogen-α scope — either a LS152THA (900mm focal length) or LS230THa (1,600mm focal length). This extends the effective focal length of these dedicated solar scopes to 3,600mm or 6,400mm for breathtaking, close-up images of the activity on the Sun’s chromosphere. The choice of scope depends on the seeing conditions. If conditions won’t support the 4x, Stephen employs our 2x Powermate™ with the LS230THa for an effective focal length of 3,200mm. Images copyright by Stephen Pizzo. 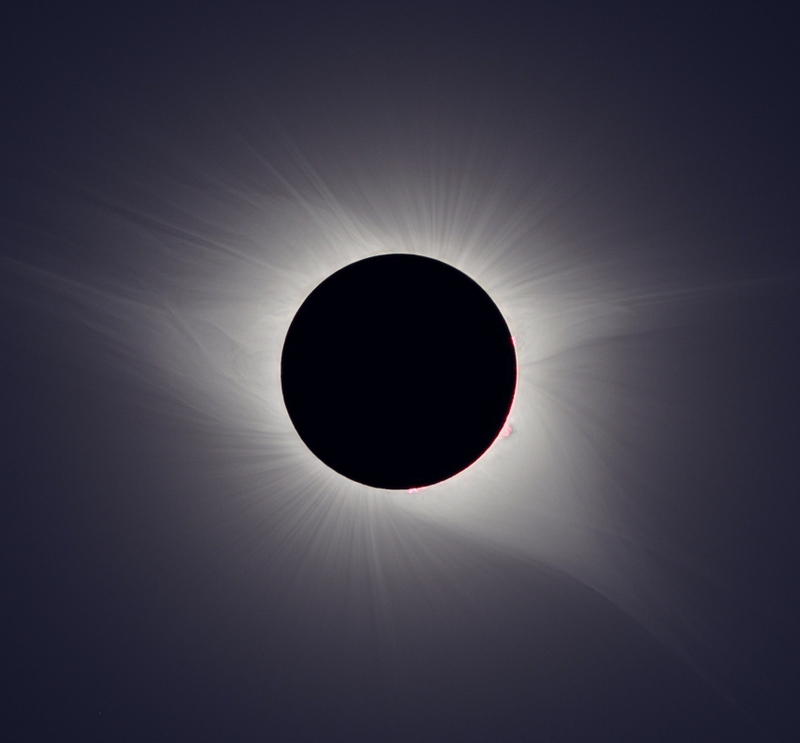 We discussed Stephen’s work and how NASA hired him to live-stream the eclipse for them in a blog post a few weeks before the event (see our blog post: August 21, 2017 Solar Eclipse: Inside the SOLAR LAB). Like many of you, our staff spread out along the line of the eclipse to view and image this awesome event. Tele Vue TV-85 APO refactor with TRF-2008 0.8x reducer/flattner image from Tellico Plains, TN 21 Aug 2017. Yellow Sun emerges after 3rd contact. 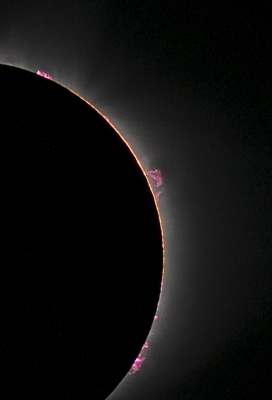 Red prominences dance along the solar limb — something you’d normally need a hydrogen-alpha filter to view. Image by Peter Carboni. Tele Vue Pronto composite image of the eclipse from Casper, WY. Copyright Sean Walker. Used by permission. Image taken through Tele Vue TV-60 telescope with iPhone using our FoneMate™ adapter and DeLite eyepiece. 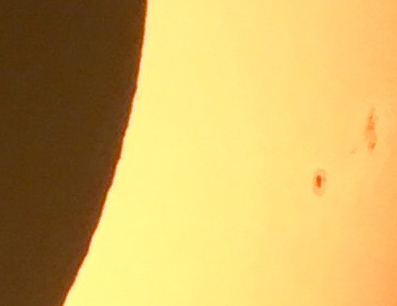 Moon closing in on sunspot group on the sun. “Took my 1993 Tele Vue Genesis to South Carolina … so great! Thank you TeleVue!” Max Oglesbee coupled his Tele Vue Genesis SDF (4”, f/5.4, 4-element, flat-field, APO) to a Nikon D3X DSLR for This spectacular “diamond-ring” shot. The mount used is our simple-to-use, rock-solid, alt-az Gibraltar. A Tele Vue Soul Searcher on the scope was used to locate the Sun. 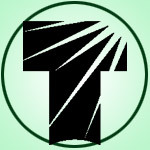 Image Copyright: Max Oglesbee. 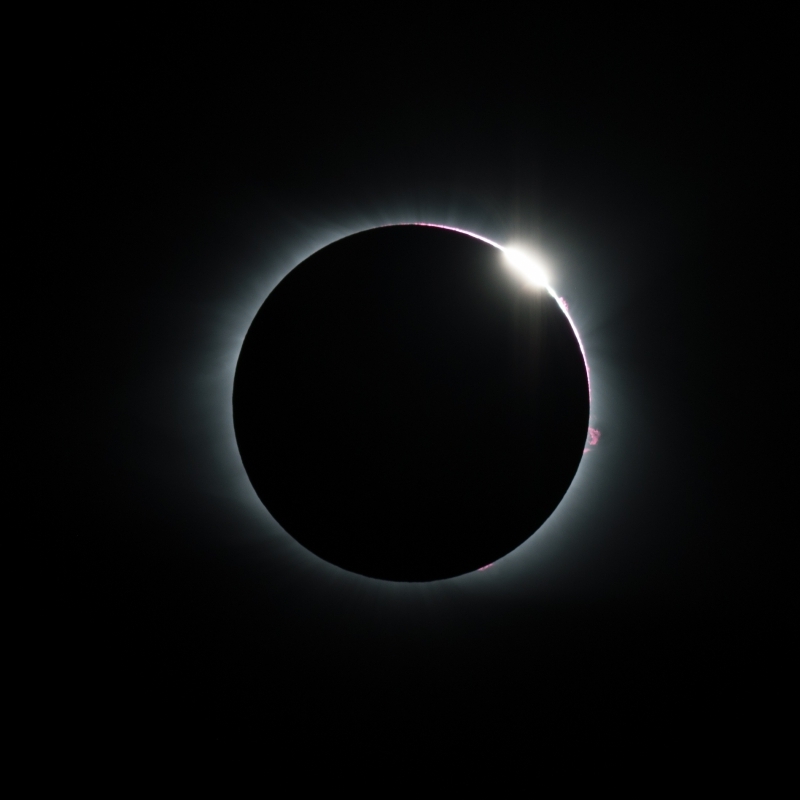 The brainchild of Astronomy Technology Today magazine editor Gary Parkerson, the Pedaling Astronomer Project had Gary bicycling through the lower 48 states to share telescope views with the public. This required a light-weight scope to pack along and our Tele Vue TV-60 was a natural choice. Gary was interviewed by the Weather Channel and local stations before and during the eclipse. Some of you may have seen the live eclipse images on a smartphone screen made with the TV-60 and Tele Vue FoneMate™. An easy way to quickly get into solar imaging is by using your smartphone on a scope fitted with a proper solar filter. 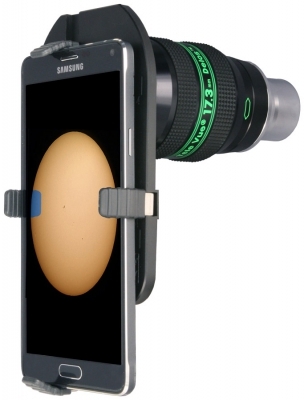 Smartphones as big as the Galaxy Note 4 (shown) can image the sun through your filtered telescope and select Tele Vue eyepieces with our FoneMate™ smartphone adapter.